ChickAdvisor - Vaseline Clinical Care — Deals from SaveaLoonie! Do you suffer from skin issues such as extremely dry skin, aging skin, dark spots & eczema? Vaseline Clinical Care products are specially formulated to meet your needs – without the need for a prescription. Want to give your skin some extra TLC before the extra-skin baring temps of Summer arrive? 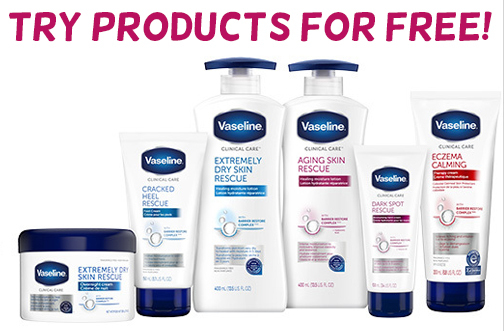 ChickAdvisor is giving members the chance to sign up to test & review a selection (1 of 2) of the following products from Vaseline Clinical Care for FREE! You have until April 15, 2019 to apply.